Made this one inside the Marble Church here in Copenhagen. I did a lot of adjustments to it in post. For one I straightened it quite a lot, to make the vertical lines straight. But see for yourself in the before and after comparison below. 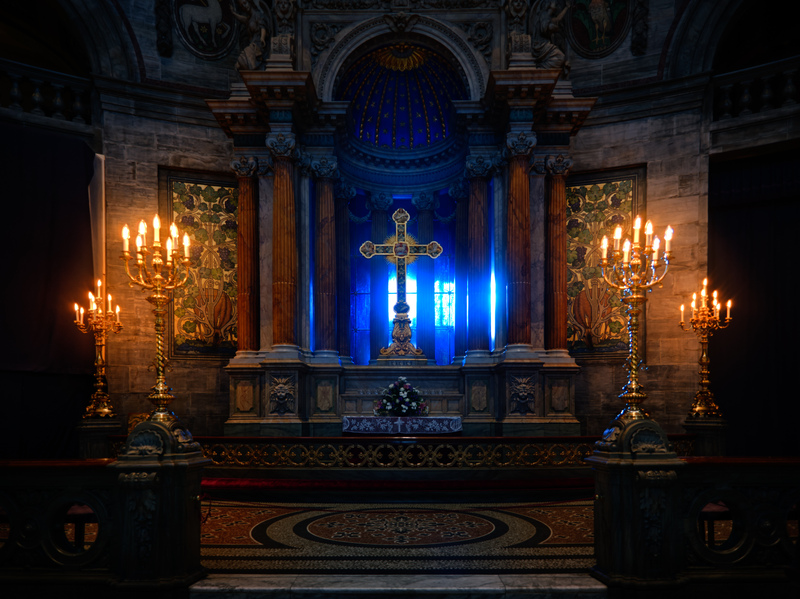 Inside the Marble Church by Bo47 is licensed under a Creative Commons Attribution-NonCommercial-NoDerivatives 4.0 International License.